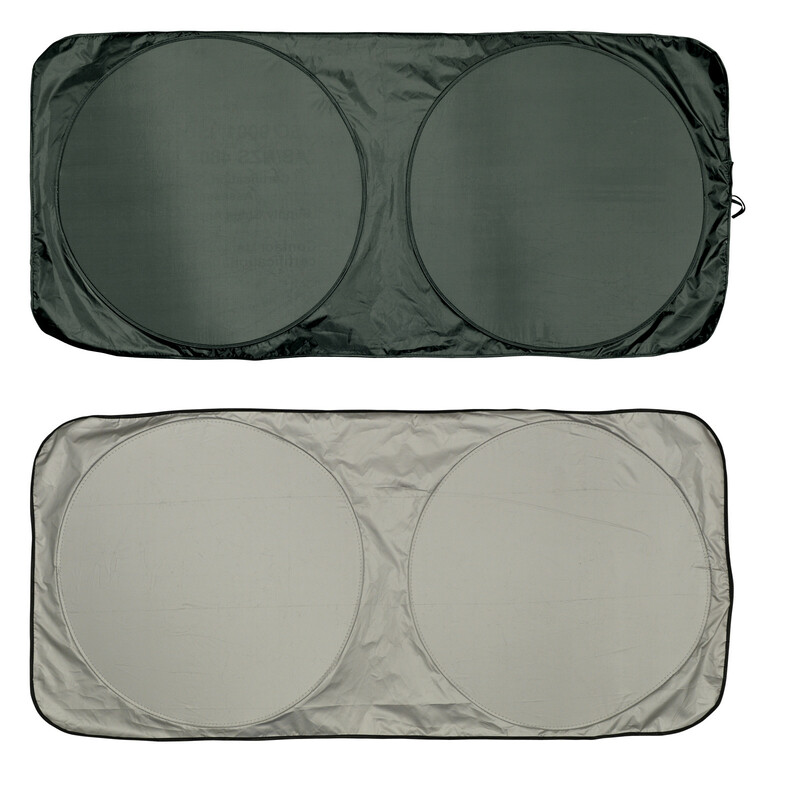 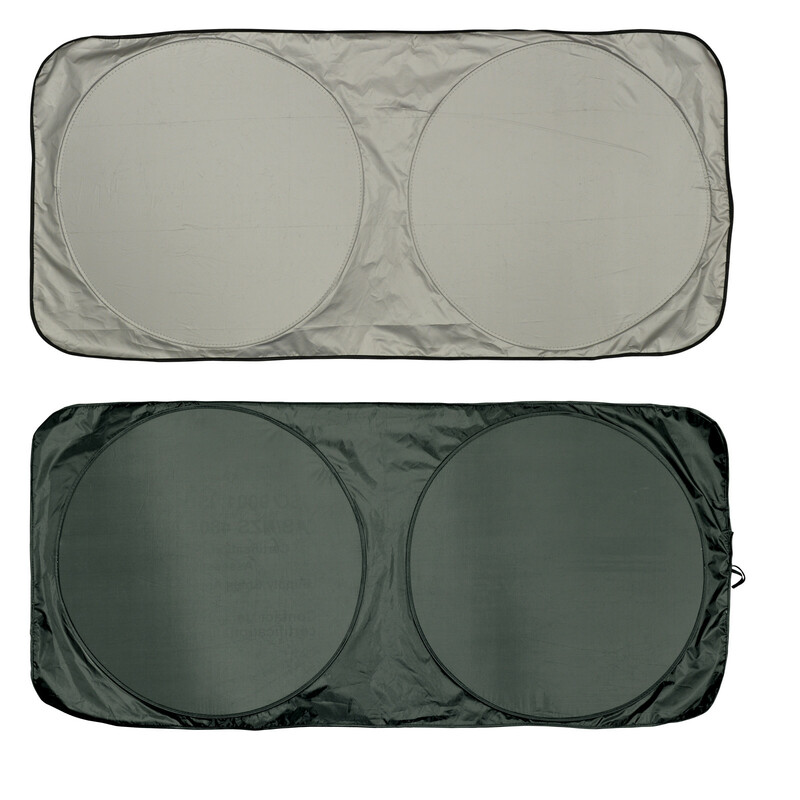 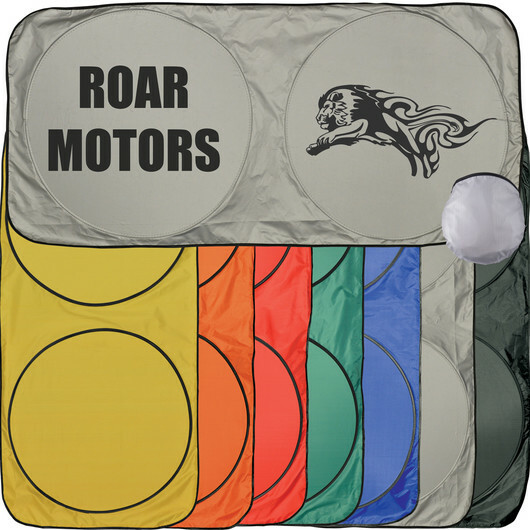 A coloured car sun shade waiting for your logo to call them home. 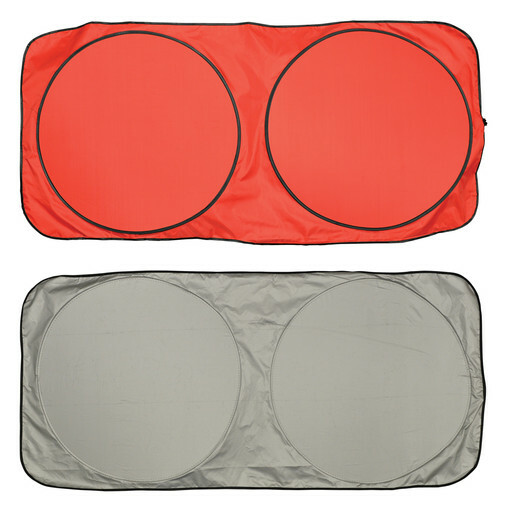 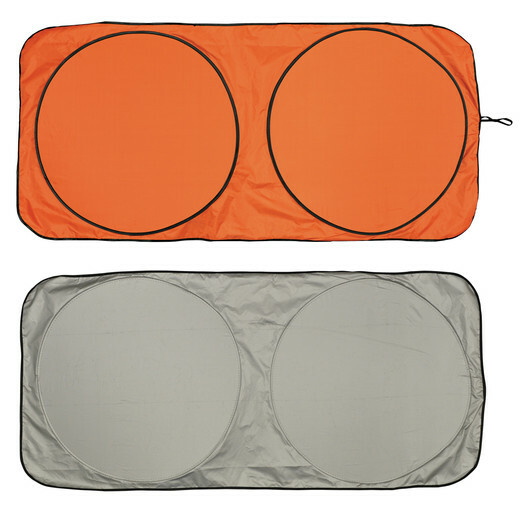 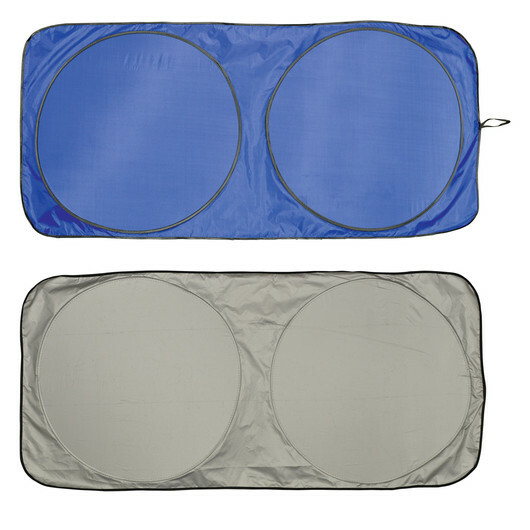 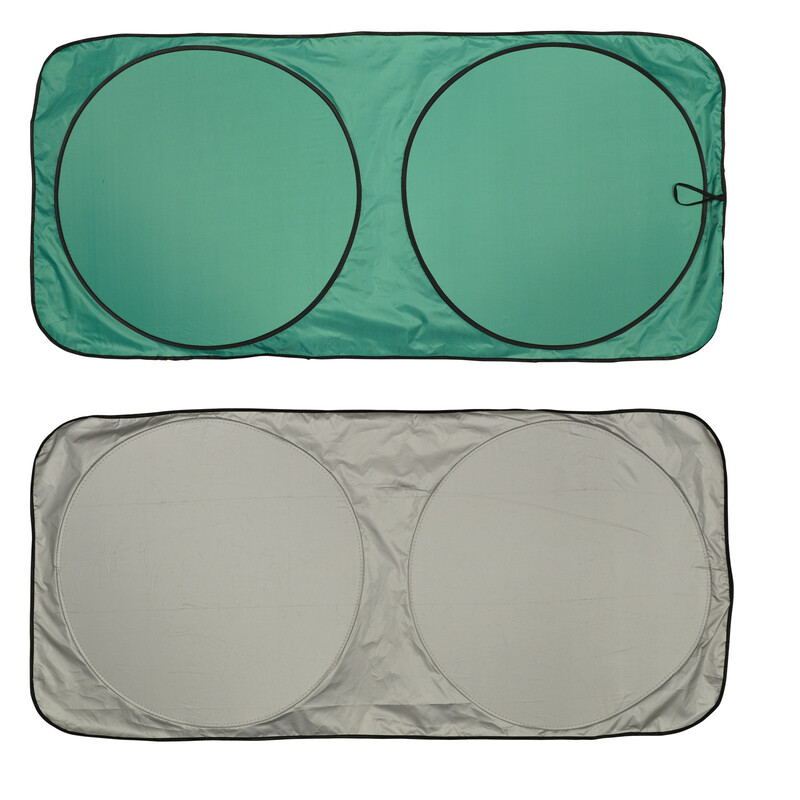 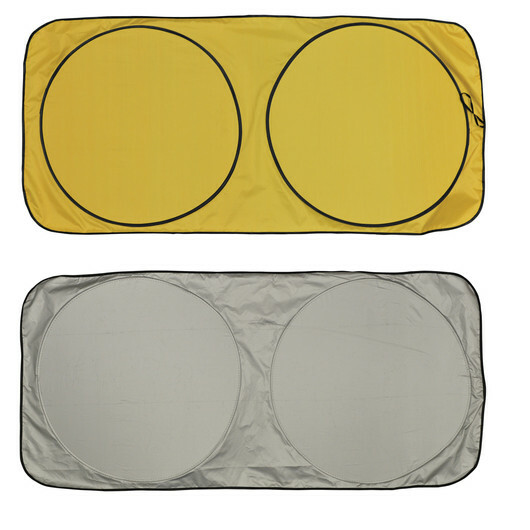 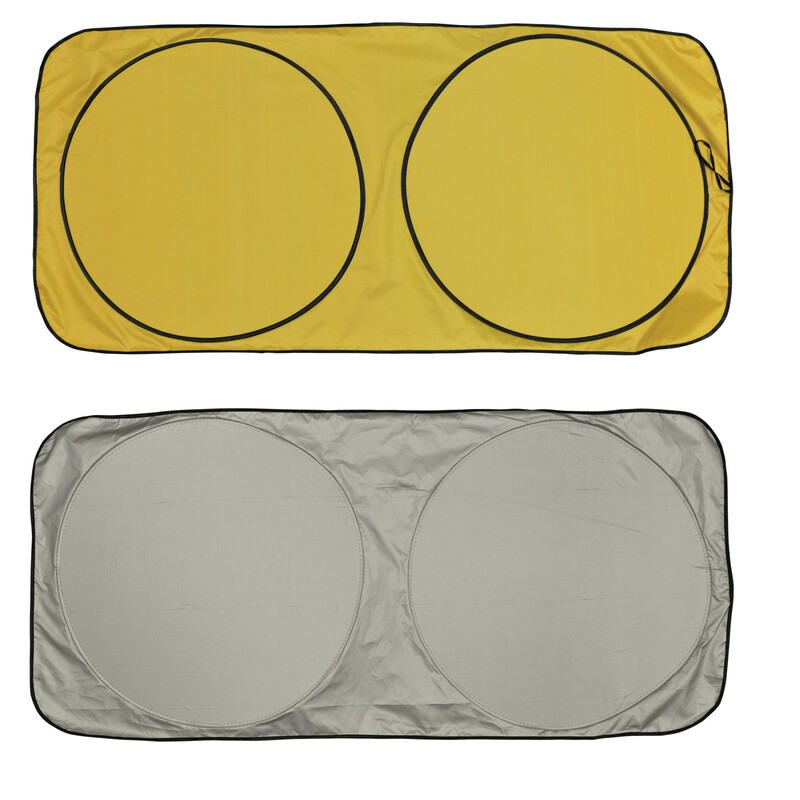 These coloured folding polyester sun shades really stand out from the crowd! Designed for windshields, they have a black elastic retainer strap as well as a handy storage pouch and are coloured on one side with silver on the other. 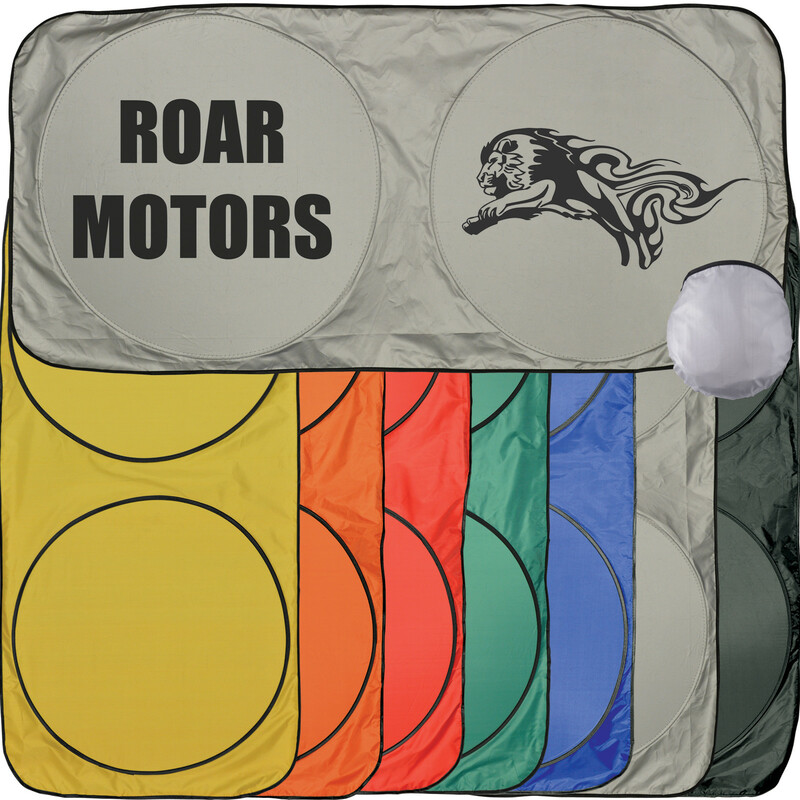 A great promotional item for automotive related industries or as a gift item.